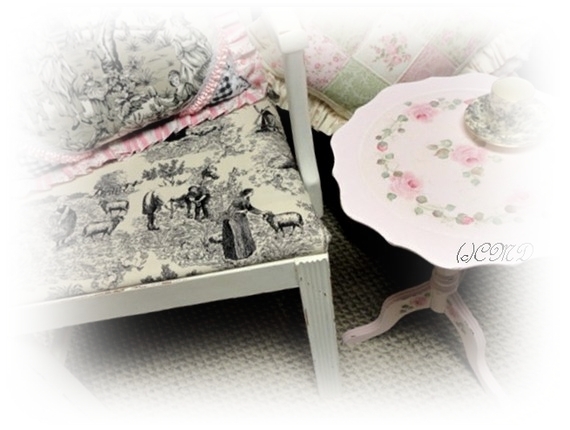 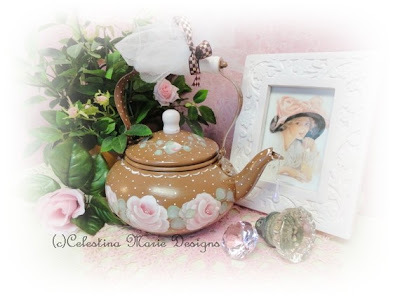 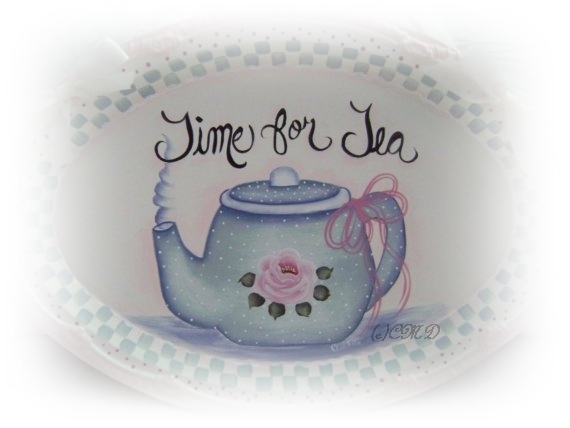 Visit our gracious Hostess Sandi at Rose Chintz Cottage for more tea time participants. Hello friends~ I am still away and enjoying my break time, but did not want to miss a Tea Time Tuesday, so I thought I would share some hand painted designs that are tea related. 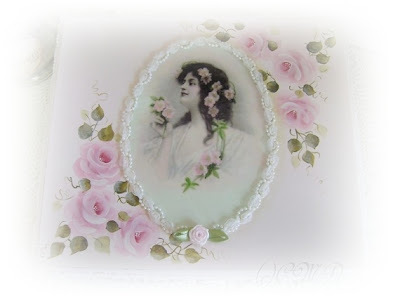 Treasures found and now living in cottages and loved by someone special. 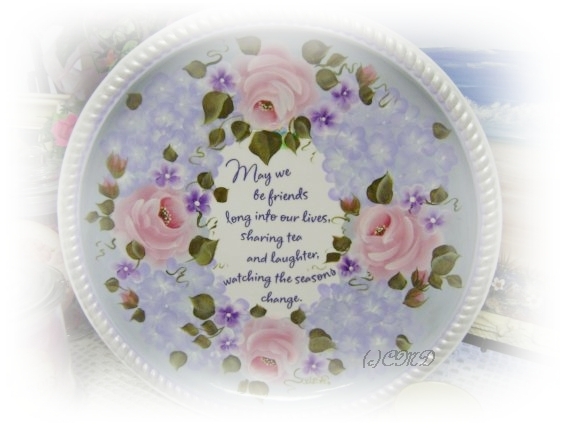 I hope everyone is doing well and enjoying some cooler weather. It is certainly still HOT here and triple digits predicted all week. 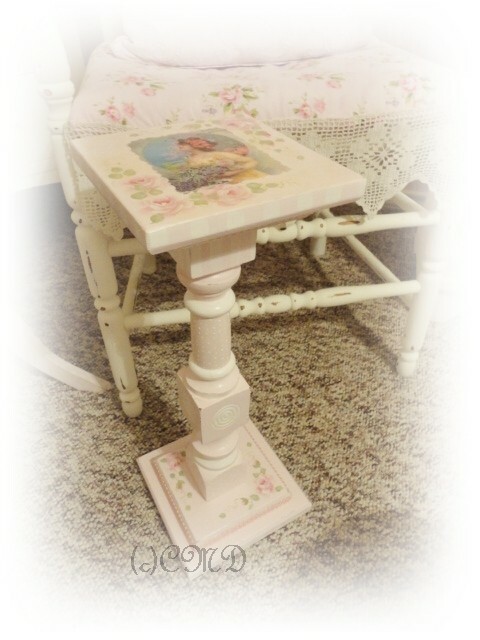 Remember my giveaway and the drawing this Friday the 19th. 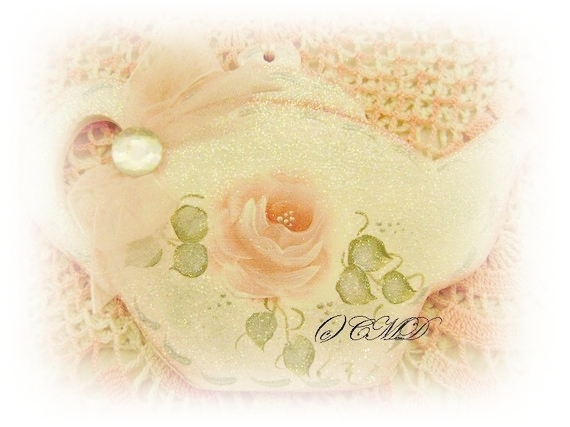 You can still enter every time you comment or become a new follower till the drawing. Good Luck and thank you to all those already entered! 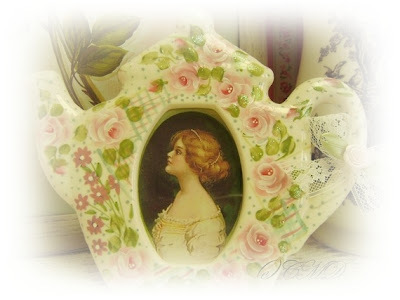 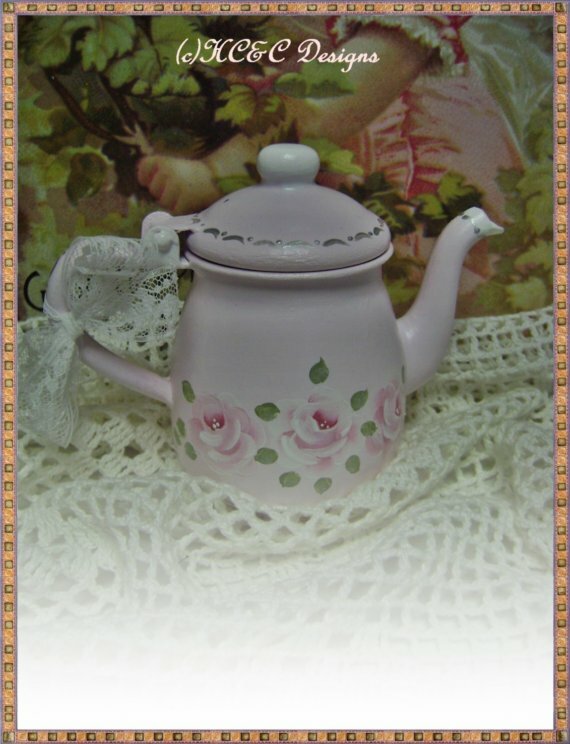 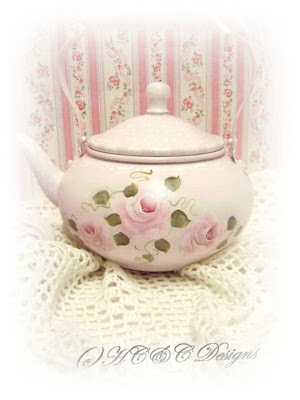 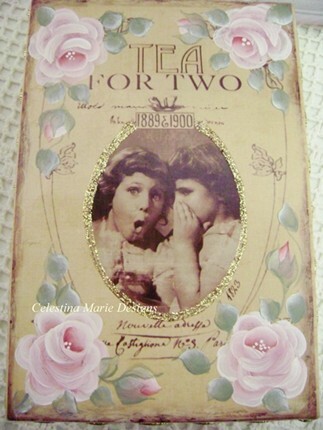 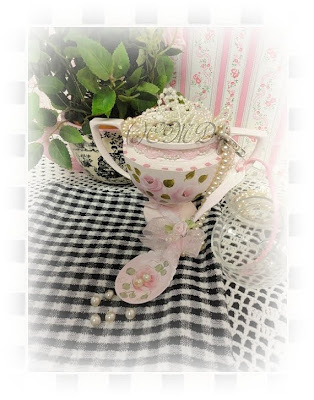 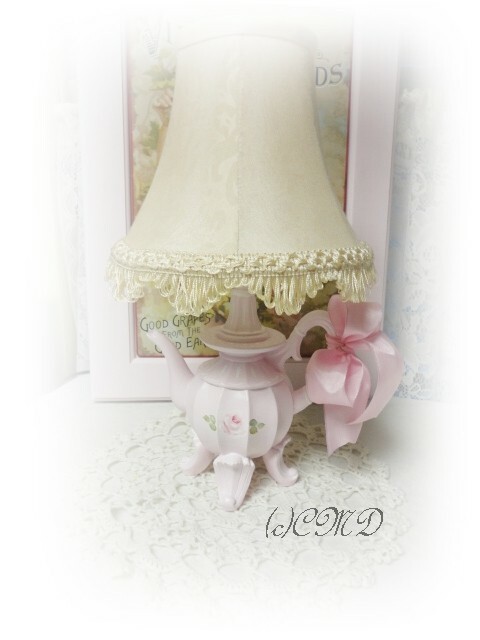 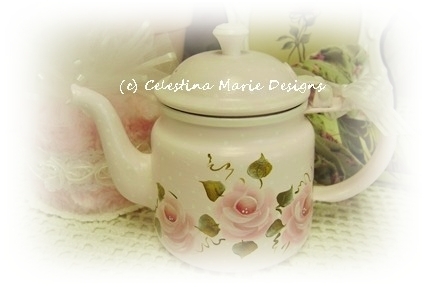 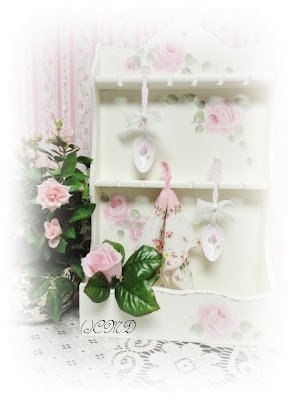 Now on with the tea pics from tea pots to trays, tea boxes and spoons, sugar spoons and wall decor. 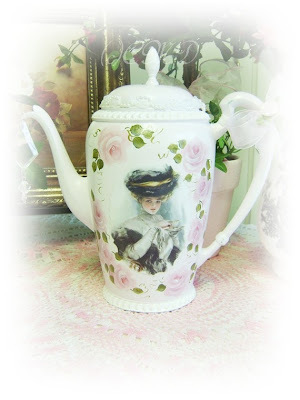 I found that I paint tea related treasures more then I realized. It really is one of my favorite themes to create. Thank you for coming by for tea. I promise to make a special treat when I return!